What to do with your keys when you go surfing or kiteboarding? The HitchSafe slides into your current standard hitch receiver on your truck, SUV or van. 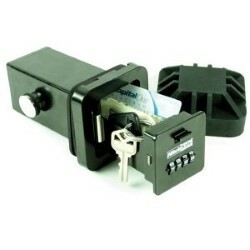 The Keyguard is also incredibly easy to use and can be locked on almost anything to protect your keys and cash. The HitchSafe makes any kiteboarders or surfers life easier. Figuring out what to do with the keys before going surfing or kiteboarding can be a big pain but we finally found a good, affordable solution that only takes a couple minutes to install. The KeyGuard Pro Key Safe is the professional?s choice because it offers a product that addresses professional?s demands. 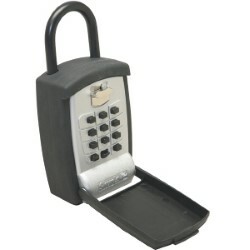 The KeyGuard Pro Key Box offers unique features such as the keypad and optional locking shackle. Along with this, is the large storage area which holds keys and cards. These features and others are offered at a price lower than leading competitive lockboxes. 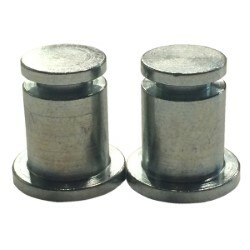 The Hitchsafe Extender Pins are for 2005-current Toyota Tacoma and the 2007-current Tundra OEM hitch receivers. The Hitchsafe replacement cover is made to look like any normal hitch cover, but covers the Hitchsafe stored in the hitch of your truck including your keys and valuables.